The absolute easiest Pasta Bake Recipe! 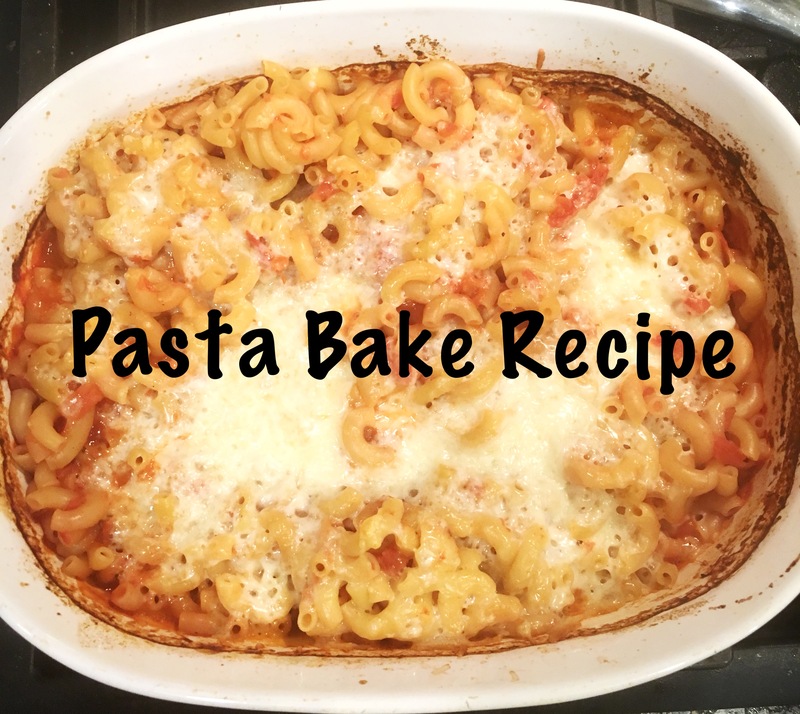 I got this recipe for an easy Pasta Bake from my sister years and years ago and it soon became an instant hit in my house. 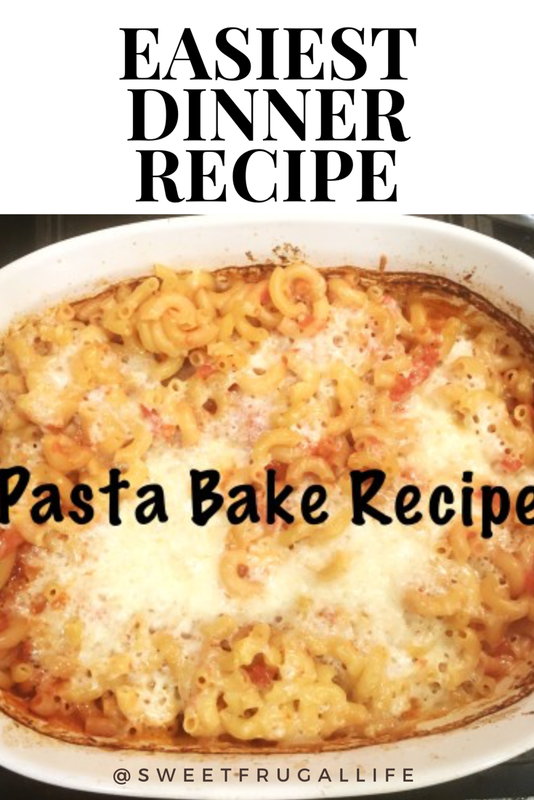 It is full of yummy noodles and cheesy goodness, it also happens to be one of the quickest and easiest dinners I make. 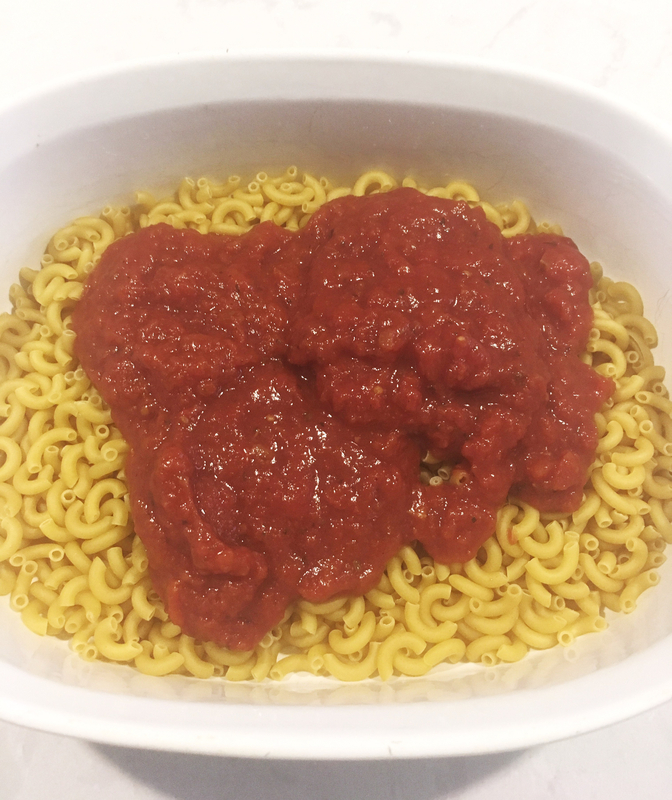 So if you are needing a simple, budget friendly dinner idea, this is for you! 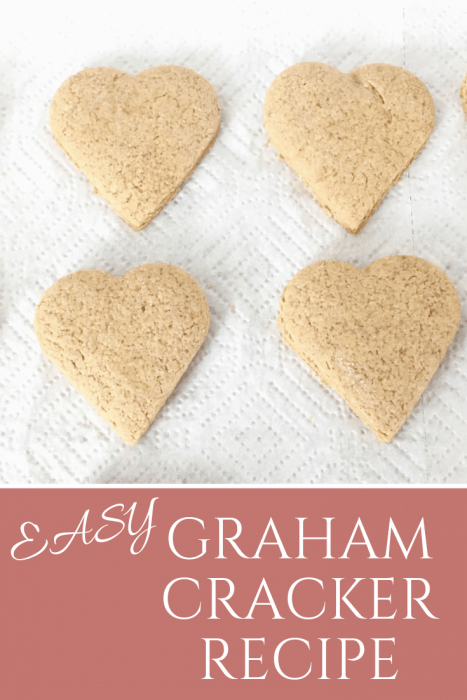 It is perfect for those busy evenings you need to throw something together quick! I am pretty sure it is impossible to mess this recipe up! 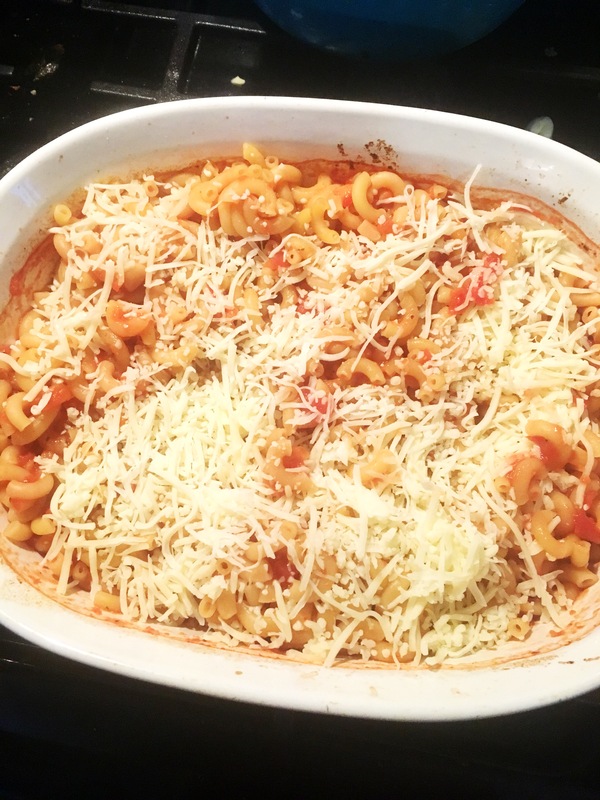 Dump a box of pasta into a casserole dish. I usually use rotini or penne, but occasionally I will use macaroni pasta. It just depends on what I have on hand. 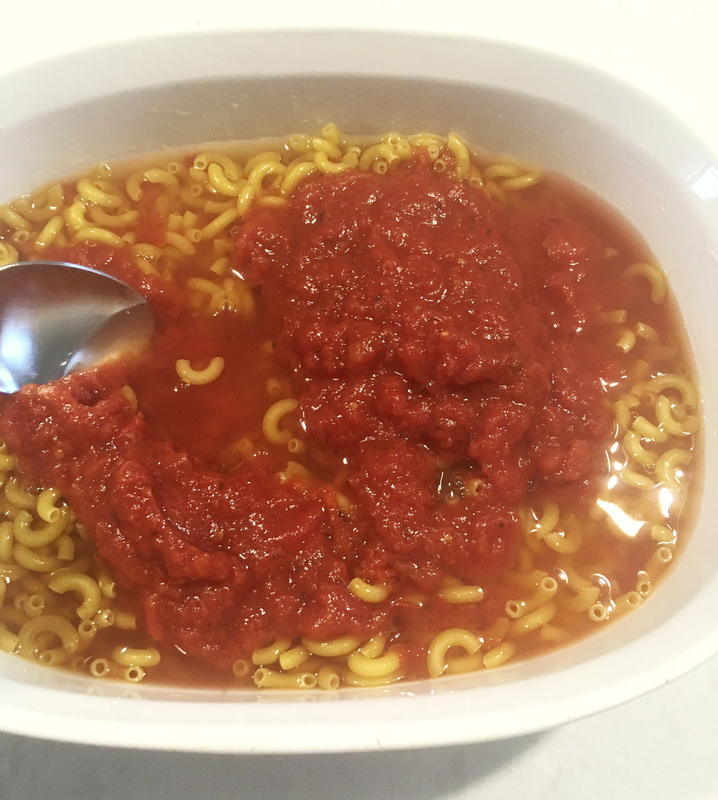 Pour a jar of spaghetti sauce and water over the pasta. You can also add olives or mushrooms. Stir it all up and put it in the oven. After 20 minutes take it out of the oven and sprinkle cheese evenly on top. Bake for another 10 minutes or until cheese is melted. Take it out of the oven and ENJOY! 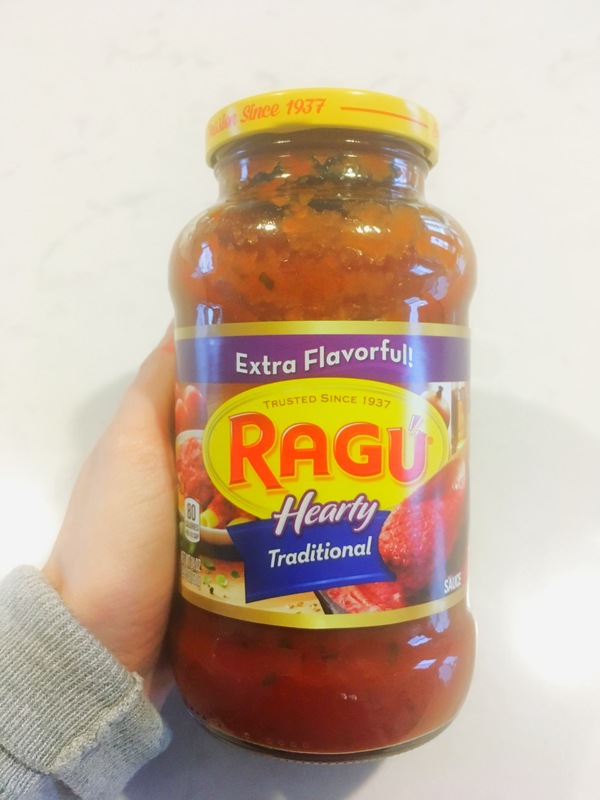 My entire family loves this meal! Heat oven to 350 degrees. Stir pasta, spaghetti sauce, water and olives and mushrooms in 9X13 casserole dish. Bake in oven for 20 minutes. Sprinkle mozzarella cheese on top. Bake another 10 minutes or until cheese is melted.